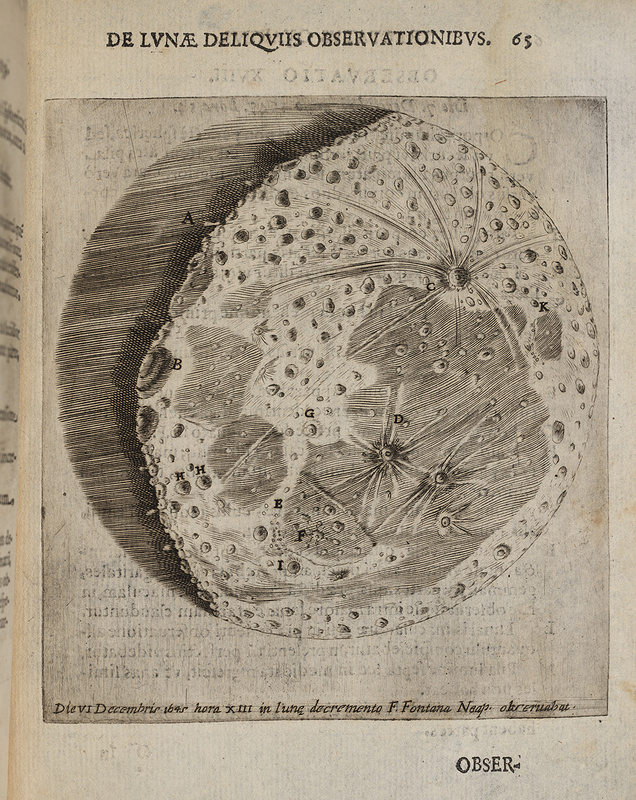 The drawing made on December 6, 1645, shows the moon several days after full. It vividly captures the ray systems of Copernicus (D) and Kepler, and the brightness of Aristarchus. The ray that runs from Tycho (C) all the way across the Sea of Serenity to Atlas and Hercules (K and H) is also effectively delineated.